Santa Cruz, CA, Oct 14, 2017 – A new study released today by AMCHA Initiative reveals how academic boycotts of Israel pose a serious threat to Jewish students and significantly increase the likelihood of anti-Semitism on campus. Much has been written in recent years detailing how academic boycotts, and particularly an academic boycott of Israel, are an assault on academic free expression and intellectual inquiry critical to academia. 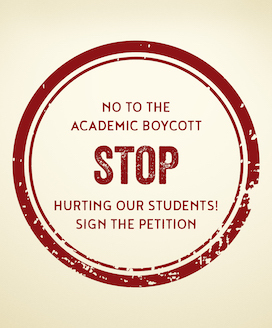 Even more alarming is AMCHA’s recent research that found a strong link between the presence of faculty members expressing support for an academic boycott of Israel and the worst form of anti-Semitism, acts of anti-Jewish hostility. Such acts include assault, harassment, destruction of property and suppression of speech. The research indicated that schools with one or more faculty boycotters were between four and seven times more likely to have acts of anti-Jewish hostility, and the more faculty boycotters on a campus, the greater the likelihood of such anti-Semitic acts. The association was replicated in three separate studies conducted over two different calendar years. The study released by AMCHA Initiative today investigates why this is happening. It examined the three disciplines that were responsible for sponsoring close to 90% of anti-Israel events – Ethnic, Gender and Middle East Studies. Data reveals that the greater the number of faculty boycotters in a department, the greater the number of outside BDS proponents brought to campus by that department and the greater the instances of students’ anti-Zionist expression and incidents of anti-Jewish hostility. 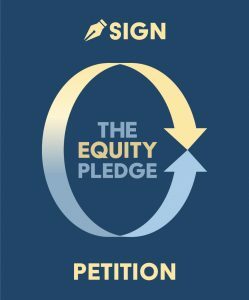 Within the three disciplines examined, academic units with faculty boycotters were between five and twelve times more likely to sponsor events with BDS-supporting speakers. Schools that hosted BDS-supporting speaker-events sponsored by the three disciplines were twice as likely to have incidents of anti-Jewish hostility. Schools with BDS-speaker events were twice as likely to have occurrences of student-produced anti-Zionist expression. Schools with instances of student-produced anti-Zionist expression were 7 times more likely to have incidents of anti-Jewish hostility. AMCHA monitors more than 400 college campuses across the U.S. for anti-Semitic activity. Campus anti-Semitism increased 40% and genocidal expression doubled in 2016, according to AMCHA’s most recent annual study. The organization has recorded 466 known anti-Semitic incidents so far in 2017. Its daily anti-Semitism tracker, organized by state and university, can be viewed here.